Don't you love the new Google Drive? It's got a fresh look and easier to navigate. Google's support article says "The new Google Drive is the same Google Drive you know and love..."
Our organization is a big user of Google Drive. Tonight I was uploading a new version of a PowerPoint to Google Drive. I was using the new Google Drive. I couldn't find the "Manage revisions" option. Hmmm. Well there's a setting to "Leave the new Drive" so I tried that. 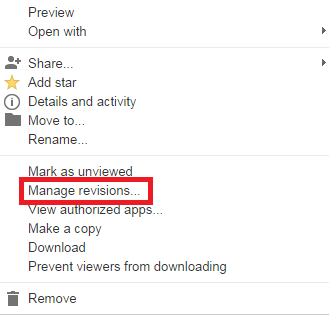 What do you know, there's the "Manage revisions" option. I must have just been looking in the wrong place in the new Google Drive. Nope. It's gone. "Please note that viewing and managing revisions is only available in the classic version of Drive at this time." C'mon Google. Don't push us to new services without them being functionally complete. Don't even get me started on "My Maps." My VoIP journey has been a long one. It actually hasn't been very painful, just long. And my wife loves the results. Google Voice has done a wonderful job blocking telemarketers and sending the transcribed voicemails to our phones via e-mail is a hit. However (and you knew there'd be an "However"), Google has made it more "interesting" than necessary. In a brief recap, my goal was to move off of AT&T for $50 per month onto VoIP for way less. I chose to use Google Voice on an Obihai OBi100. All of that worked great until Google pulled the plug on XMPP that Obihai used. I inserted Vestalink (ne OBiVoice) and that worked pretty good. I had 2 family members whose incoming calls were always choppy. The workaround was to give them the direct Vestalink DID number. Then in a sweeping transformation of Google Voice, it seems that Google and Obihai kissed and made up. The move back couldn't have been easier or smoother. I left Vestalink in place for E911 but I'll probably look at it again when my annual contract comes up for renewal. If I'm anything, I'm NOT an Apple fanboi. And the Android aficionados are giving Apple heck over the iPhone 6. But still, there's a lot of innovation in the iPhone 6. It has 128 gigabytes of flash memory. One Hundred and Twenty Eight Gigabytes! Enough for my daughter's pictures. Nice job. Apple finally implemented NFC tap to pay. But in Apple's manner, it's not just the run of the mill tap to pay. Apple tokenized the entire transaction and used their TouchID as a second factor. Mechanically in the store it's pretty much the same as Google Wallet but under the covers it's much cleaner. Nice job. And it has just been discovered that the iPhone 6 has hardware h.265 encoders for use by FaceTime. This will reduce the bandwidth required for over the air video by 50% while not reducing quality. Nice job. I'm still not going to buy one. I saw my wife staring at her iPhone 4S the other day. I asked her what she was doing. She was reading an e-book on the Kindle app. Lord help her eyes! So I went to eBay and bought an invitation. Currently you can only get the black 64GB model. It came in a couple of days. I had already been talking it up to her. She wasn't excited but didn't push back. When it got here it was a different story. She didn't want to transition from iOS. 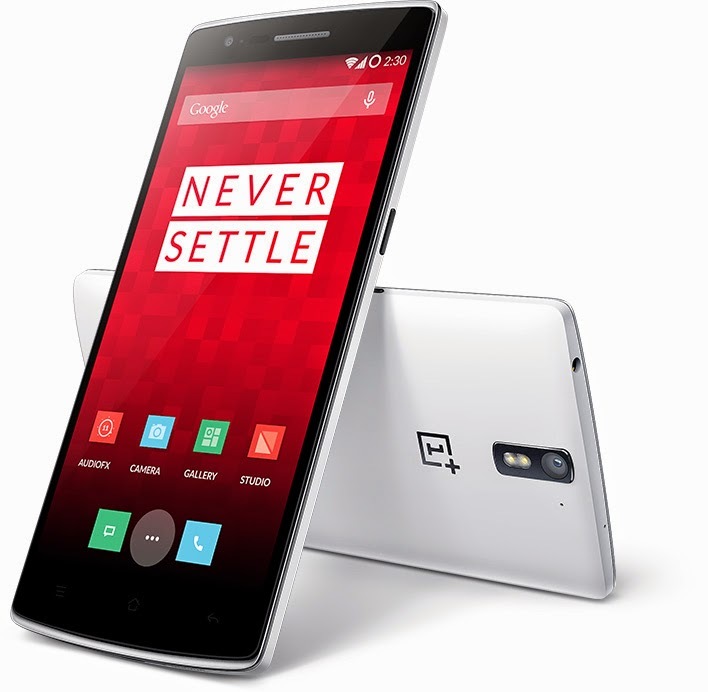 I knew what was good for me so I let the OnePlus One sit there for a few days. Still no movement. I posted that I had one for sale on eBay, Google+, Twitter, and Facebook. I got a nibble from a former co-worker who had been playing with one at work. We worked out a deal and we swapped phones - the OnePlus One for an unlocked 16GB iPhone 5S. The transition was easy. Well, as easy as anything is that involves iTunes. AT&T was very helpful giving me a new nano-SIM without activating it. Then when I was ready I just called them and it worked. Thanks! I haven't exposed her to TouchID yet. LTE and 5GHz 802.11n are both nice. And it's light and thin. Camera sensor size 1/3.2" 1/3" 1/3.06"